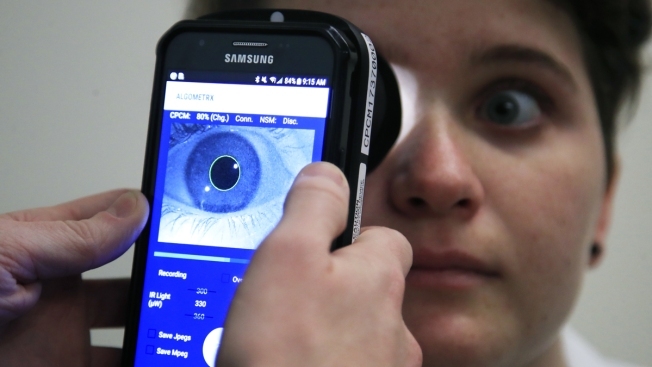 Clinical Research Assistant Kevin Jackson uses AlgometRx Platform Technology on Sarah Taylor's eyes to measure her degree of pain at the Children's National Medical Center in Washington, Monday, Dec. 10, 2018. Children's National Medical Center is testing an experimental device that aims to measure pain according to how pupils react to certain stimuli. The National Institutes of Health is pushing for development of what its director, Dr. Francis Collins, has called a "pain-o-meter"